SAN FRANCISCO, Nov. 28, 2016 /PRNewswire/ — Capital Recovery Group, LLC and Rabin Worldwide will conduct a 4-day online public auction of the assets of Mastroianni Brothers Bakery in Schenectady, NY. The online auction begins November 28th and will end on December 1st. Mastroianni Brothers, a family-owned commercial bakery has closed after 93 years in business and ceased activities at the facility on Opus Boulevard; its last shipment of bread went out in July. 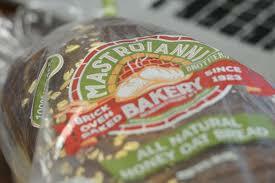 Mastroianni Bros. was started in 1923 by eight brothers and for nearly century the authentic brick ovens delivered breads, rolls and pizza dough products to kitchens, delicatessens, and supermarkets. Known coast-to-coast for their wonderful bread, this mainstay of the Upper New York area will be sorely missed. “From people that live locally to the crazy people that live in Wisconsin, Utah, and Atlanta that travel here and take our bread home in a suitcase or beg us to ship it to them, that type of loyalty, you just don’t find in a commercial bakery,” said Warren Zeiser, the company’s CEO. Capital Recovery Group and Rabin Worldwide will sell the entire contents of the Schenectady bakery facility. All of the equipment will be available at an online auction sale hosted by Capital Recovery Group and Rabin Worldwide, starting November 28, 2016. This will also be an unprecedented opportunity to purchase over eighty Merli Carriage Manufacturing Company display carts. The custom-built pine display carts are crafted in upstate New York and have been used by companies as diverse as Disney, Saks Department Stores, Pavilion Supermarkets and Seagram’s Liquor Corp. The auction can be viewed at http://www.rabin.com/Overview/Auction/mastroianni-bros-bakery and will include dough mixing, roll and bread lines, and packaging equipment once used for Matroianni’s beloved bread, rolls and pizza dough. Capital Recovery Group and Rabin Worldwide specialize in asset recovery throughout the world by providing a host of solutions including auctions, liquidations, asset-based lending, turn-key sales, real estate acquisition and more. Similar auctions recently conducted include Hostess and Safeway.